[i am a dekaphobic]: Shakey's Pasta Festival and Mozzarella Cheese Sticks! A simple yet boldly-flavored dish, the Shrimp Aglio Olio is olive oil based and tossed with just the right amount of garlic and tender pieces of shrimp. Considered a complete meal that's low on calories, the Shrimp Aglio Olio pasta is sure be enjoyed by kids and adults alike. 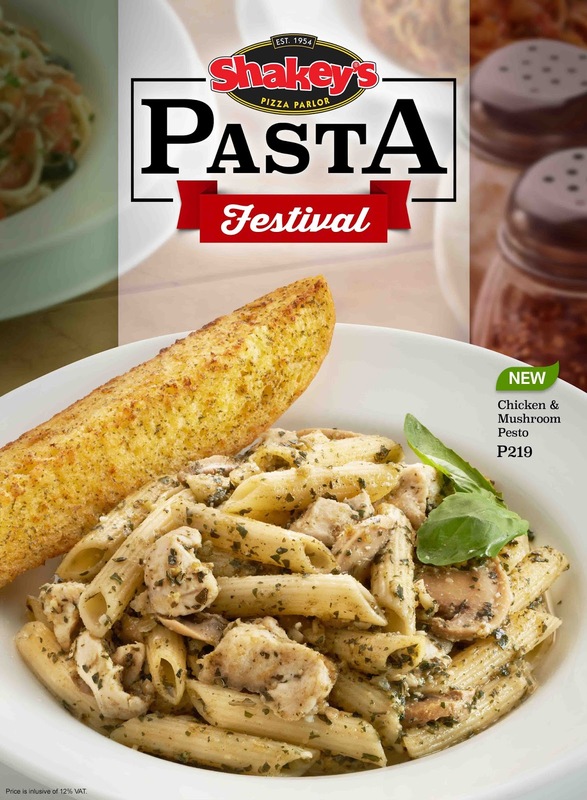 Made with a zesty pesto base, the Chicken and Mushroom Pesto Pasta is a hearty treat comprised of button mushrooms and chicken fillets. Topped with a generous serving of parmesan cheese and basil leaves for garnish, the Chicken and Mushroom Pesto Pasta is sure to become staple dish that's loved by all. 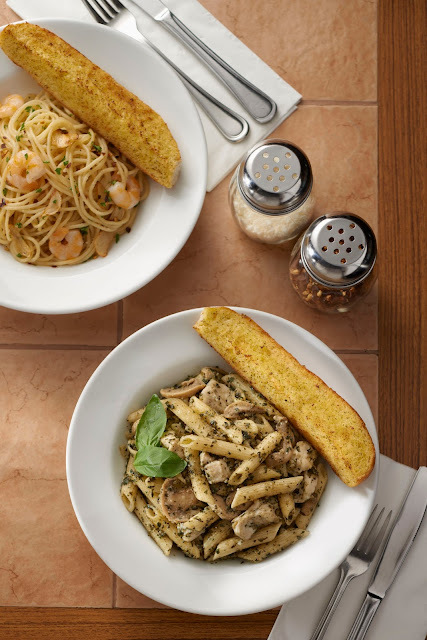 The Shrimp Aglio Olio and Chicken and Mushroom Pesto Pasta are available at all Shakey's restaurants for dine-in, carry out and delivery for Php 219. The Shakey's Mozzarella Cheese Sticks is an exciting addition to the already tasty and tempting list of appetizers to choose from. Whether you enjoy it as a starter or as a snack to match your favorite drink, the Mozzarella Cheese Sticks is a dish that's made for sharing with family and friends. Generously coated in a special batter mix and crispy breadcrumbs, the Italian cheese of choice promises to provide a soft, chewy, and melt-in-your mouth experience you won’t forget. 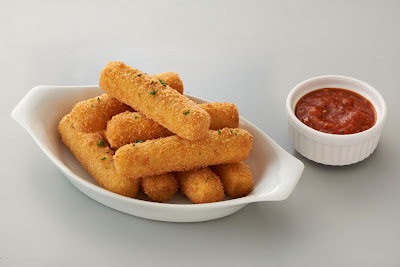 For only Php 169, Guests can enjoy eight (8) stringy Mozzarella Cheese Sticks with a deliciously seasoned marinara sauce to enhance its flavor. Guests also have the option to enjoy them with a cheese dip or a ranch dip, for no extra charge. 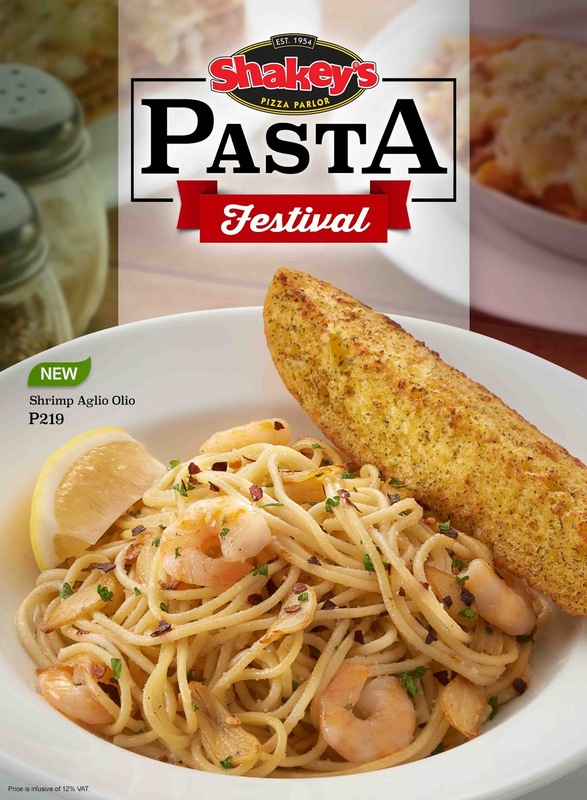 Also available are Shakey's existing pasta favorites which include the Classic Spaghetti for Php 171 (Solo) and Php 349 (Platter), the Carbonara Supreme for Php 193 (Solo) and Php 379 (Platter), the Seafood Marinara for Php 249, the Baked Italian Sausage Penne for Php 219, the Monster Spaghetti Meatballs for Php 209 for Solo, Php 249 for Platter with 3 Meatballs, the Tuna Mediterranean Pasta for Php 219 and the Prima Lasagna for Php 199.